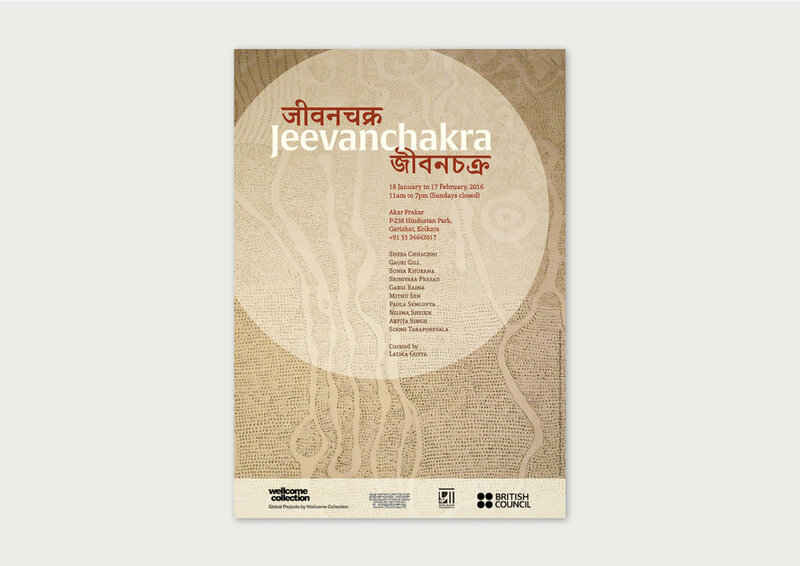 Curated by Latika Gupta, the exhibition Jeevanchakra opened in Kolkata in January, 2016. A part of the Medicine Corner programme by the Wellcome Collection, London, the exhibition explored the life cycle of the human body and the historic, socio-economic and political conditions of places that shape the relationship of the body with medicine and healing as well as the rites around birth and death. Keeping in mind the multi-cultural scope of the entire Medicine Corner project, we developed a wordmark for the name of this art exhibition in English, Hindi and Bengali languages using typography inspired by the hand-painted signs of Kolkata. 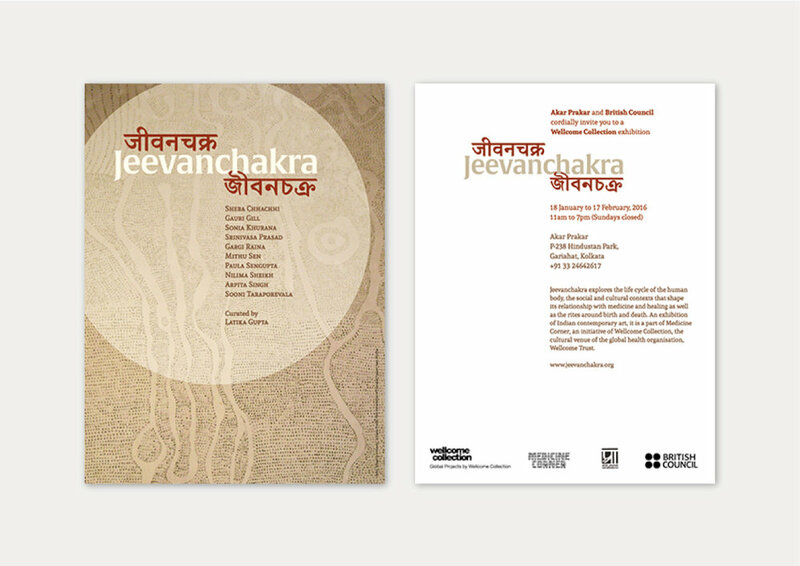 A photograph of a work by artist Srinivasa Prasad formed the accompanying imagery on all communication material for the exhibition inlucding posters, invitations and a mini-catalogue.